When Joe, Elise Jerozal’s Parson Terrier, went missing, her mom Katie Jerozal knew all of the steps to follow to bring home a lost pet. She put up flyers, canvassed the neighbourhood, posted messages on Facebook, and even posted a video to Youtube featuring Elise asking for help in bringing Joe home. It’s no surprise Katie knew what to do – after all, she’s got an awful lot of experience with dogs. Katie’s mother showed dogs, and Katie herself competed in Junior Handling, taking her Pug to Westminster one year to as one of the top Junior handlers in the country. Part of the reason Katie bought Joe for Elise was so that Elise could show him in Juniors, and possibly train him for the obedience ring. Getting Elise into showing would make show dogs a third generation family tradition – Katie didn’t stop her involvement with show dogs when she outgrew Juniors. She’s now a small scale, ethical breeder of French Bulldogs, owning a handful of top winning Frenchies, including a Best in Show and Best in Specialty show winning boy she still proudly talks about on her Lucida French Bulldogs website. 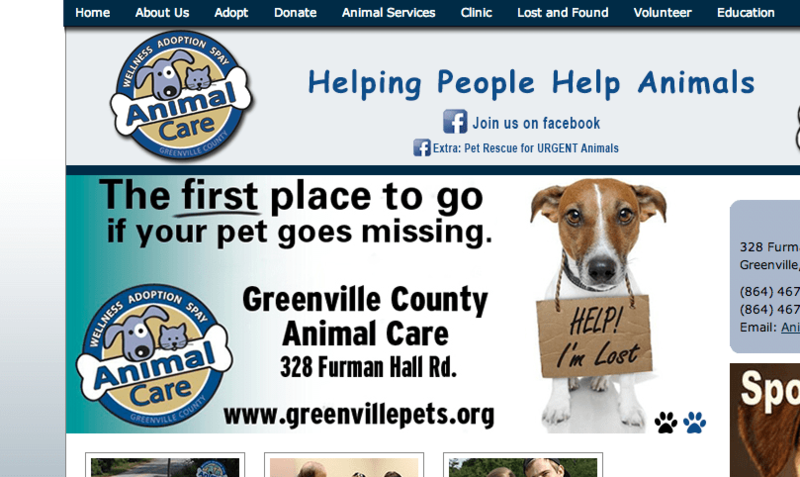 It’s Katie’s website that caused problems when she got in touch with Greenville Animal Control to report Joe as a missing pet. Joe is a 1 year old Russell Terrier. he was bought for my daughters 7th birthday to do obedience with. 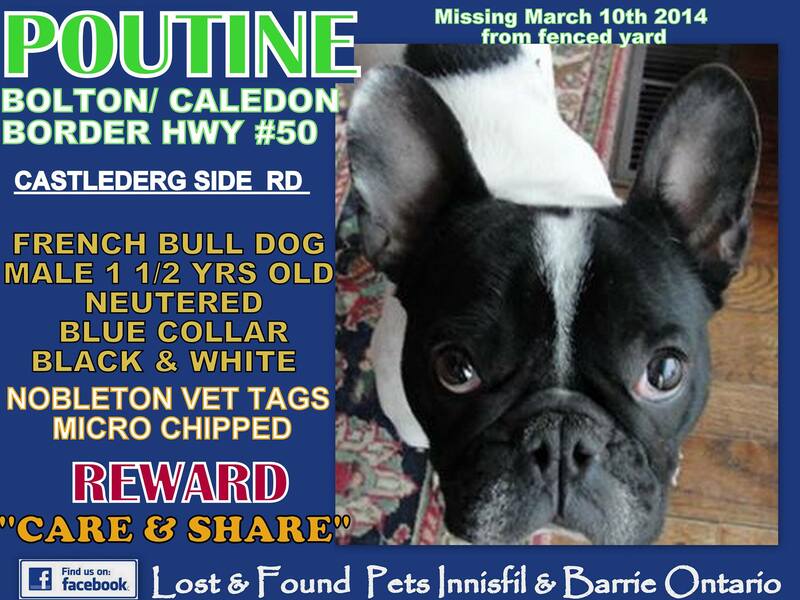 He was last seen in our yard where, we think, he was taken. I noticed that you breed Frenchies. Have you ever thought of discontinuing that? There are cancers associated with breeding (mammary tumors, testicular cancer, etc.) that result from not spaying and neutering. Also, Frenchies, like any other breed, end up in shelters. I would imagine that if you love your Frenchies, you would not want them or their offspring to be in harms way. No suggestions on how to find Joe. No confirmation that someone would check the shelter to make sure Joe hadn’t been turned in. Instead, all Katie got was a lecture on how her insistence on having intact dogs (intact dogs she was BREEDING!) was the reason that dogs die of cancer and end up in animal shelters. Did this idiotic and heartless response come from some well meaning but poorly trained shelter volunteer? Community Relations Coordinator! Holy crap! Talk about a lack of essential job skills. I’m going out on a limb here, but I’d think that a large part of the job description of a Community Relations Coordinator for Animal Control involves actual public relations skills, the kind that support community members, instead of alienating them. Of course, this is all on top of the fact that Susan is spouting the same tired and inaccurate myths about how keeping dogs intact is some sort of automatic cancerous death sentence (by this reasoning, I’m a little bit surprised that Susan didn’t also suggest Katie should look into getting Elise a hysterectomy before it’s too late, since ‘intact’ women could also grow up to get reproductive cancers). Her insinuation seems to be that Katie is some sort of irresponsible jerk who lets her dogs run around Greenville willy-nilly, clogging up the Animal Control shelters and generally forcing well meaning people like Susan to kill them against her will. Look, I get the impression that Greenville AC is one of the better run municipal shelters. They have a vigorous volunteer program, they offer Animal Care Summer Camps for kids, and they offer low cost veterinary services, microchipping and spay neuter clinics. I understand that Susan’s intentions might have been good, but she’s letting her own personal agenda (her personal Facebook page talks a lot about animal rights and her veganism) get in the way of servicing her community – the very job her title conveys she is meant to be filling. If you want to be the ‘first place’ people go when their pet is lost and missing, please start doing a better job of being supportive, instead of misguidedly judgmental. Greenville AC made an already traumatic time for Katie’s family even worse, by failing to support her in any way that could help to bring Joe home. Good news, and good job, Katie! OMAR FOUND – Thank you everyone. Omar was found a couple of blocks from the house by a friendly school bus driver. She then asked people if they knew him and was told about the sign in front of my house. She had him safe and sound and came to see me. I have since retrieved him. The only thing we can think happened is he followed my son out of the yard when he emptied the poop barrel and he never saw him. Inspection of our fence and potential ways out netted no clues and the other two dogs in the yard with him were still there. That’s two happy endings for me this week. I think I have my share now. God, my heart stopped when he didn’t come in with the others. Thanks for rallying your networks.